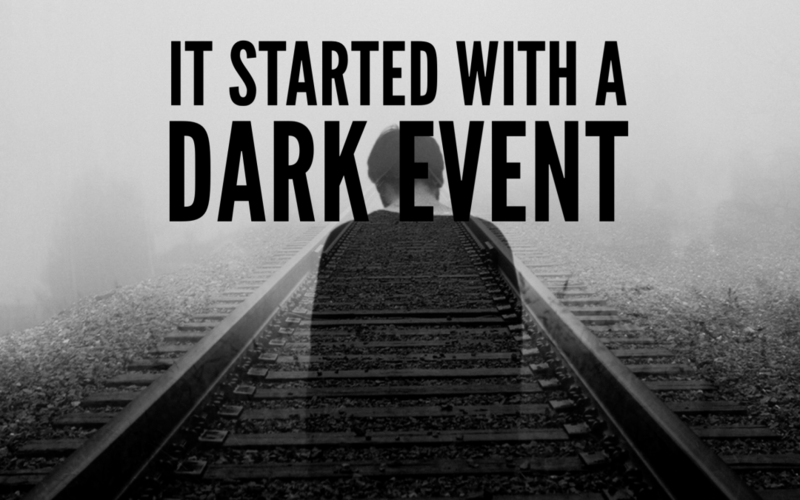 For me, it started with a dark event: an unexpected divorce. In the depths of my pain and the process of the event, I was visited one day by Kim, a pastor and a good friend. While shoring up my spirits, Kim mentioned that many people were observing how I responded to my situation. Because I speak often on self-improvement topics, they were watching to see if I walked the walk or just talked the talk. He said I couldn’t just survive; I needed to do more. Long after Kim left, what he said about “more than just surviving” stayed with me. Later that same week, my oldest son came by to see how I was doing. My situation, he said, seemed a lot like Job’s, the biblical character who lost all that he had—family, fortune, and health—but never lost his faith. Because of his unwavering spirit, Job was eventually restored to a new and better life. I felt encouraged by my son, who in his own way was telling me to go beyond surviving. However, could I survive as Job did and actually thrive again? The next morning, deep in thought over a cup of coffee, I wrote down the behaviors I saw in myself as I struggled to recover from the blows of my current situation. I had many conﬂicting feelings and was also unsure about whether I was going to make it through the day. My bills tripled due to court costs while my ability to work diminished each day. I felt the darkness of depression closing in on me. What I needed to do was to get back on my feet. However, my foundation was shifting and unsure. I was trying to remain balanced and upright, while the ground underneath was in constant change. I realized that by not taking positive steps, I had become just a Survivor. What I needed to do was to think differently, turn myself around, and become a Thriver. Armed with these thoughts, I began to write down in one column what surviving looked like. Then I wrote in another column what thriving would look like. I began with the simple question, “If I was just trying to survive this situation, what would I be doing, acting, saying, and thinking? If I moved beyond surviving to a more thriving life, what would I be doing, acting, saying, thinking?” Soon I had a very good outline that helped me begin the process of navigating through my current problems and getting my life back on course. I asked my friend and co-worker, Suzi Streit, to help me categorize these Survivor/ Thriver behaviors and further deﬁne them in action. Suzi, too, was in survival mode as she worked to save her own marriage. As we shared our stories with each other, we came up with ideas on how to get past the pain and start rebuilding our lives. From that, we created our ﬁrst Survive or Thrive? seminar. Today we are using these ideas to help people through many struggles and trials in life other than divorce. Our seminars cover handling change, becoming a better communicator, understanding your hidden talents, and becoming goal oriented, as well as coaching individuals and executives toward professional and personal improvements. Right now, you may be struggling to survive a bitter blow—a failed relationship or business, or perhaps the death of a dream or of a loved one. You may be swept away in the emotions that the hardships of life can carry, from shock to fear, from loneliness to desperation. You could be a teenager who didn’t get a full scholarship and is giving up the dream of a professional career, or you could be a recently single mom or dad wondering how you are going to make it. If you are going through a difﬁcult time and are unsure of your future, know that you’re in good company: the company of every person on Earth! Everyone, at some time in their life, will be faced with difﬁculties. Just as we can count on the sun to come up and go down today, we can count on life’s difﬁculties and unexpected changes to visit us. Like a hurricane, it sweeps in without an invitation—ripping open our dreams, crushing our future, and leveling our spirits—if we let it. The question is, will you let it? Will you let adversity keep you from your dreams?